FairLifts arranges helicopters for aerial photography, videography, and surveying projects in Iowa. 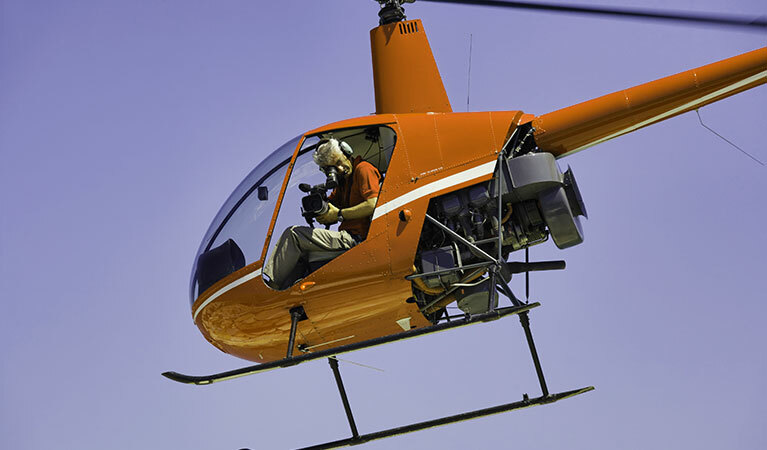 Our global network of helicopter operators delivers skilled solutions for photographers and videographers, surveyors and cartographers, companies and law enforcement and wildlife agencies. Expert pilots working with advanced equipment ensure flawless, high-resolution images for aerial photography, video, land survey, real estate, utility, wildlife and land demarcation projects, among many others. Our experienced account managers are available 24/7 to provide additional information, quotes or planning for aerial photography, videography or survey projects. Call today for innovative helicopter solutions in Iowa. Recognized as the sixth best state in the nation for business, Iowa is a leader in agricultural production with revenue generated by corn for grain, hogs, soybeans, cattle and calves, and dairy products. Major field crops include oats and hay, red clover, flaxseed, rye, and wheat. Also, Iowa raises more hogs than any other state, and is a leader in milk, chicken and eggs production. In terms of manufacturing, Iowa produces cotton cloth, farm machinery, construction equipment, and household appliances. The largest manufacturing industry in Iowa is food processing with plants producing canned hams, breakfast sausages, corn oil, cornstarch, corn sugar, glucose, and cereal. Mining of limestone used in roads and cement, as well as clays, gypsum and sand and gravel is also important in the state. Iowa is also noted for its numerous college and professional sports teams and stadiums. The state’s agricultural, mining, entertainment, and real estate industries frequently require helicopter surveying, mapping, law enforcement assistance, reconnaissance and surveillance, wildlife census and sampling, and photography and videography services to compete effectively and profitably. FairLifts arranges innovative aerial photography and videography solutions for commercial and residential property land surveys, ranch aerials, commercial construction aerial surveys from groundbreaking to ribbon cutting, and private and corporate aerial photography. Our global network of helicopter operators guarantees detailed and high-definition imaging for a variety of companies in Iowa. FairLifts arranges skilled aerial surveying and mapping solutions for geomatics or other imagery collection, using aerial photography, LiDAR, remote sensing, and aeromagnetic surveys, in order to provide superior resolution and results to local companies. Our global network of helicopter operators ensures complete and well-defined imaging for industries in Iowa. FairLifts arranges specialized aerial solutions for law enforcement assistance, reconnaissance, and surveillance of crime scenes, large events like sporting events, concerts and parades, and surveillance targets for unfailing results. Our global network of helicopter operators affords state-of-the-art imaging for law enforcement agencies in Iowa. FairLifts arranges superior aerial solutions for wildlife aerial census and sampling to correctly capture images and GPS information for census and sampling data collection. Our global network of helicopter operators delivers rigorous imaging for wildlife and environmental agencies in Iowa. FairLifts arranges helicopters for world-class aerial photography, videography and survey solutions for agricultural and land surveying, manufacturing industries, law enforcement, real estate, development and construction companies, and wildlife and environmental agencies in Iowa. Contact an experienced account manager 24/7 for additional information, quotes or aerial photography, videography, and surveying project planning in Iowa.